This paper describes a clustering methodology for temporal data using hidden Markov model(HMM) representation. 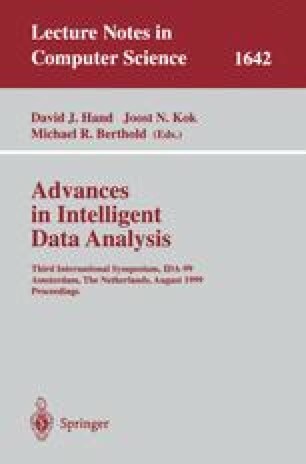 The proposed method improves upon existing HMM based clustering methods in two ways: (i) it enables HMMs to dynamically change its model structure to obtain a better fit model for data during clustering process, and (ii) it provides objective criterion function to automatically select the clustering partition. The algorithm is presented in terms of four nested levels of searches: (i) the search for the number of clusters in a partition, (ii) the search for the structure for a fixed sized partition, (iii) the search for the HMM structure for each cluster, and (iv) the search for the parameter values for each HMM. Preliminary experiments with artificially generated data demonstrate the effectiveness of the proposed methodology.